Do you find yourself going to the same restaurants, running into the same people, hitting up the same bars every weekend? Well look no further, we have your guide to fun, new things to do in Dallas to mix up your routine. 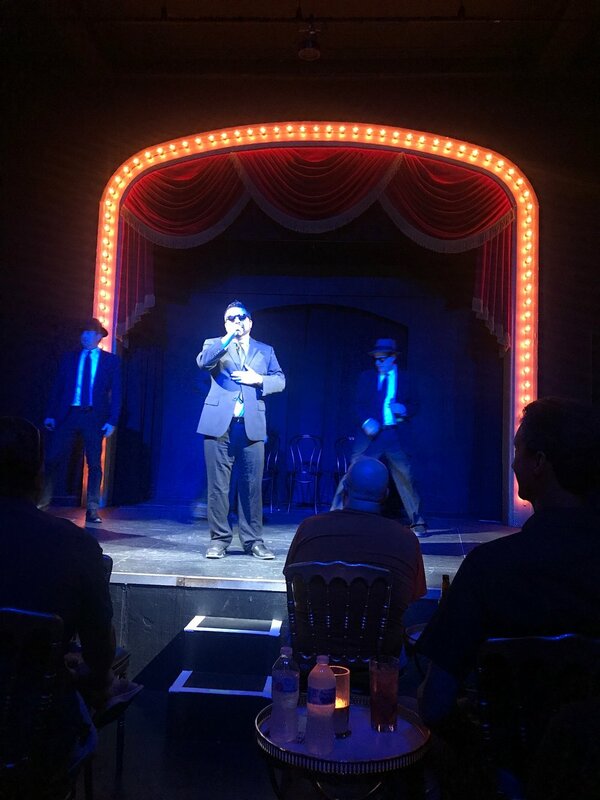 Whether you are planning a girls’ night, solo adventure, or date night, check out any one of these 9 cool spots for ideas on how to spice up your night out! Several times throughout the year, the Perot Museum puts on an after-hours event where (adult) guests can stroll through the museum and explore the exhibits, experience unique programming, play games on the plaza and enjoy a photo booth and DJ in the lobby, with a cocktail in hand. The evening goes until 11 pm and always sells out so once you find a date that works for you, buy your tickets in advance ($20 for members, $29 for the public). 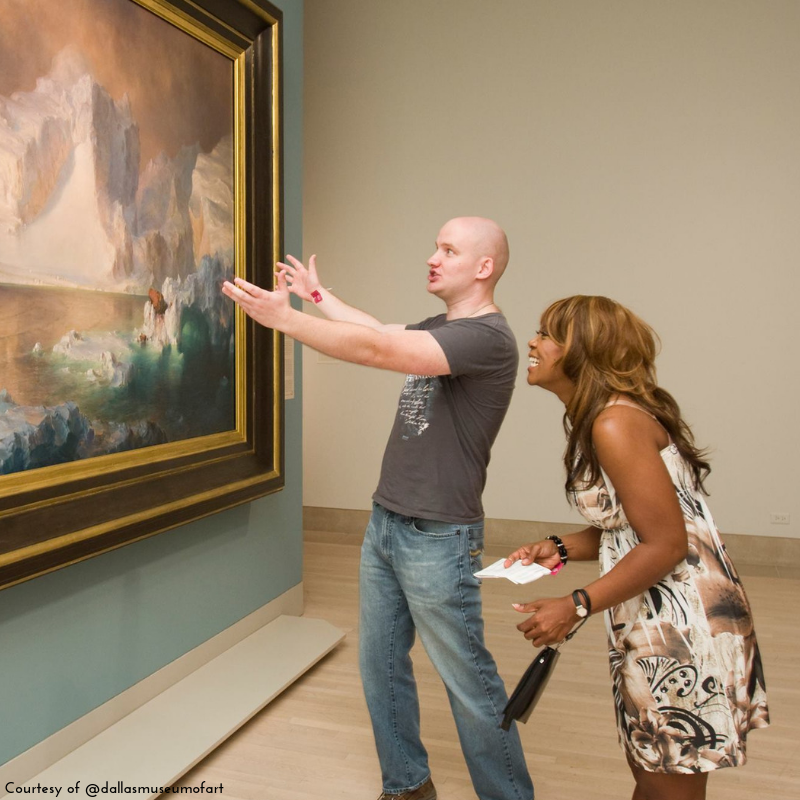 Every third Friday of the month, the Dallas Museum of Art stays open to the public until 11:00pm and puts on specialized programming. While the event changes slightly month to month based on the exhibit, options for guests usually include special exhibits, late night talks, concerts, artist demonstrations, or film screenings. Tickets are only $10 for general admission, $5 for students, or free for members. Looking for something a little more active? Dallas’ newest craze is bowling. If you need a spot to day drink, check out Bowl and Barrels’ ‘Day Drinking’ menu where they offer mimosas and bloody marys for $3 from 11:00-5:00 every day, or their ‘Happy Hourly’ menu where you can enjoy their whole drink menu for $3 at 3:00, $4 at 4:00 and $5 at 5:00 Monday-Friday. At Bowl Lounge you can bowl on the cheap and not feel rushed by 30 minute time slots. During their happy hour Monday-Friday from 11:00-4:00, they offer games for only $5 per person. If you need more variety, Scout offers foosball, ping pong, and pool tables as well as bowling; plus you can always go check out any of the other Statler bars or restaurants if you need a change of scenery. If you haven’t already been to Bishop Cidercade, get there now! Bishop Cidercade serves up about 30 different types of cider and wine along, and is an all you can play arcade with over 170 games for just $10 admission. On the first Saturday of each month at 12:30 they offer a cidery tour so you can learn more about how they make and produce all of their delicious cider. Or if Addison is closer for you, or if you seriously love N64, then head up to Regeneration Arcade Bar and enjoy their slew of pinball machines, arcade games and video games! And if you get hungry, they have a pizzeria next door, with some awesome Toy Story vibes! If free art events are more up your alley, the Nasher Sculpture center hosts ’till Midnight at the Nasher every third Friday of the month. 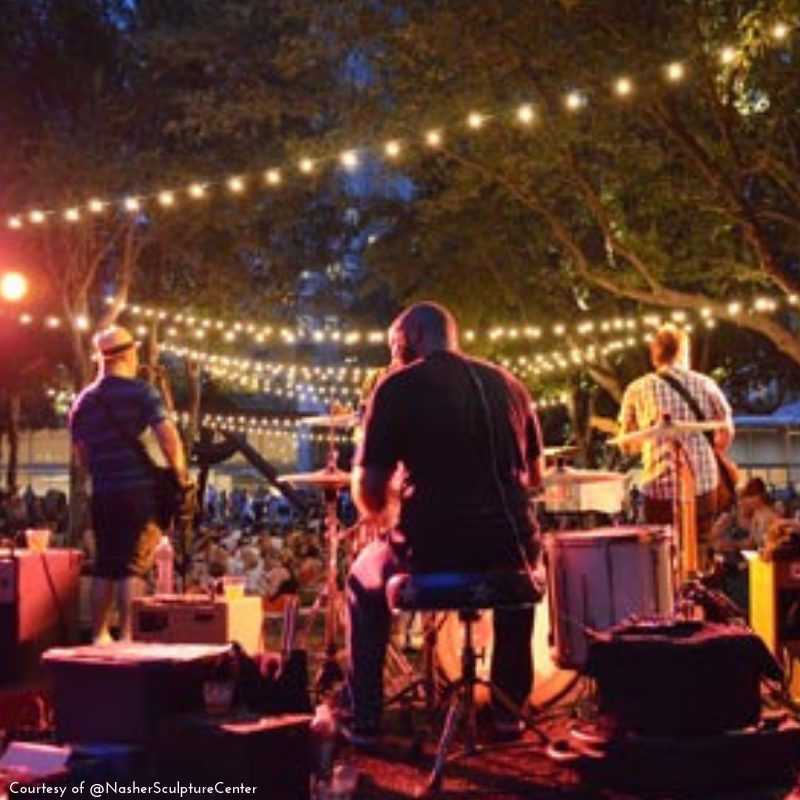 ’till Midnight at the Nasher is a free event from 6:00pm-12:00am where guests can see live music and watch movies in the Garden or tour the museum as well as special exhibits inside. They bring in diverse artists and show different movies each month. If you’re looking for a good laugh this weekend, go see Four Day Weekend at their new Lower Greenville location. 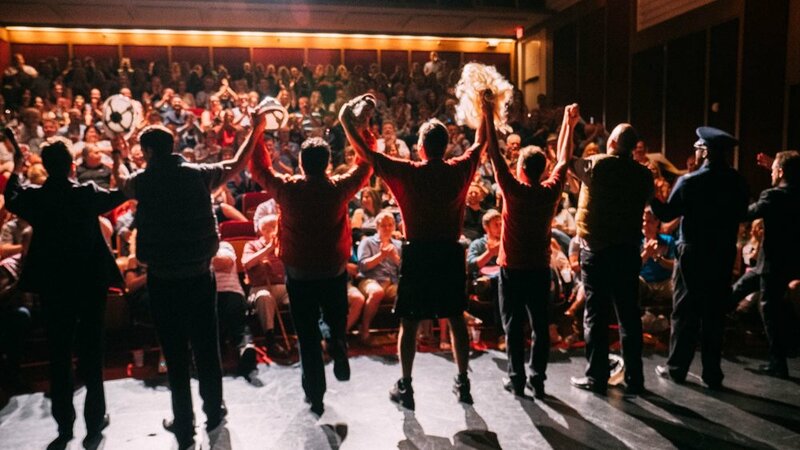 Four Day Weekend is an improv troop that takes input and suggestions from the audience to create a unique, hilarious performance for every show. Four Day Weekend Comedy Club originally opened up in Fort Worth, but recently expanded to add this Lower Greenville location in Dallas. Tickets are $25 and you can catch them in Fort Worth on Friday or Saturday or in Dallas on Saturday. Another round is an indoor boozy putt-putt concept coming to Dallas sometime this spring! Oak Cliff residents came up with this genius concept to open up an indoor miniature golf venue that centers around a bar. This 12-hole mini golf course will have a rotating theme to make sure this spot is always new and creative, and will debut with an “Oak Cliff Country Club” theme. While official opening dates have not been announced yet, the space is set to open at 660 Fort Worth Avenue near Sylvan 30 in West Dallas.